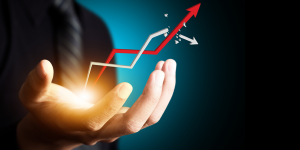 This post is to primarily study the relation between GDP growth and stock market returns. In the long run, does the stock market return equal (or be close to) the GDP growth rate? Also, do developed markets give lower returns than emerging markets? We will use statistical data and not qualitative aspects like infrastructure, supply of labour and capital, etc (Developed markets have far more vibrant capital markets which make it easy to raise capital). 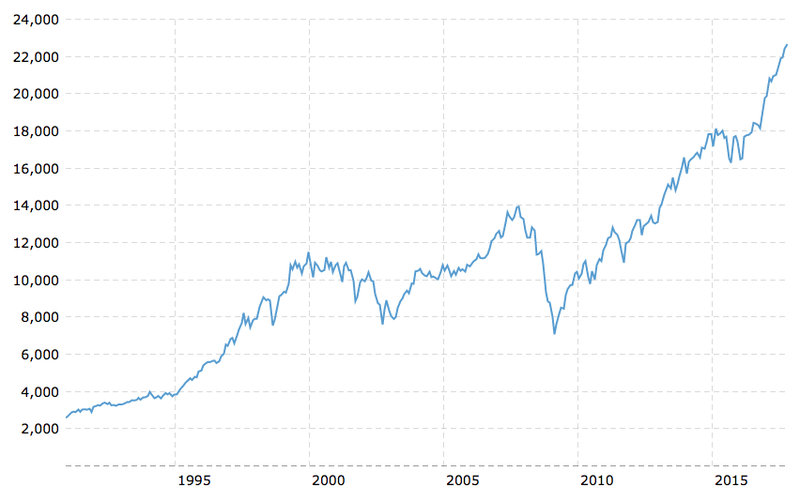 This is the Sensex chart since its inception. In 1979, the Sensex value was 100 and today it is upwards of 30,000. Lets breakdown the Sensex performance to pre-1991 and post-1991. The Dow Jones index has delivered a CAGR of 8.1% p.a. over the last 25 years and in this period the USA GDP has hardly grown above 4% p.a. with the average being below 3% p.a. Lets go back to 1991, if you were an investor back then and had to make a 25 year investment in INR terms (ignore the investment regulations for once). Then would you have been better buying the Dow Jones in INR in 1991 or the Sensex would have been a better investment in terms of returns? Investing in the Dow Jones index would have yielded better returns because of a depreciating rupee coupled with a growing Dow Jones. Inflation in India is higher (Averaging 6% to 7% p.a. since 1991) against the 3% average inflation in USA. Thus, on an inflation adjusted basis the out-performance of the USA equity markets even greater. To conclude, the higher GDP growth rate has not translated into higher returns through equity markets. We are not being pessimistic on the potential of returns from Indian equities but assuming sustained higher returns than the global average can be a folly on an investor’s part. The risk premium being paid by the investors is very high and may not be justified in the long run. Ultimately, investments in equities are driven by greed and fear. The current sentiment is that of greed and the fear of missing out and investors should be careful about blindly investing in businesses they don’t understand and should definitely not overpay for what they own. Individual stocks can definitely out perform the broader markets (as visible from the last 10 years performance) and that is what our research services are focused on.